Today is National Chocolate Chip Cookie Day! So in honor of it, I want to share with you my favorite…no. THE BEST chocolate chip cookie recipe I’ve ever made. I have been blessed to marry into her wonderful and supportive family. My mother-in-law, Libbie, has been struggling with cancer for the last four years. She receives so many visits from her out-of-town family during the year it’s hard to keep up with regular life. It always feels like a party at her house! And one thing you can count on with these family get togethers is good food. 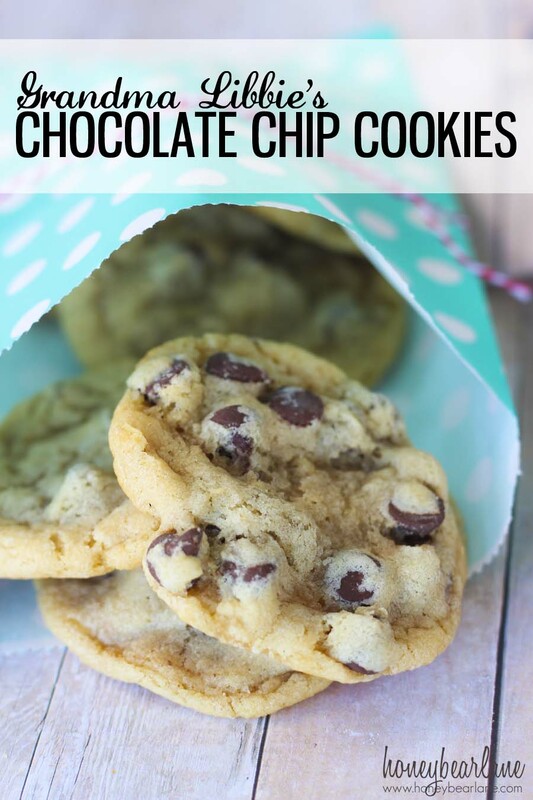 One staple dessert has been her famous chocolate chip cookie recipe. I have never been very good at making chocolate chip cookies. I’ve tried multiple recipes, each time hoping I could get the result of the classic “Perfect Mom” chocolate chip cookie. You know, the kind that the neighbor’s kids talk about for years. Finally, I tried Libbie’s recipe, and…wow. YES. This was it! 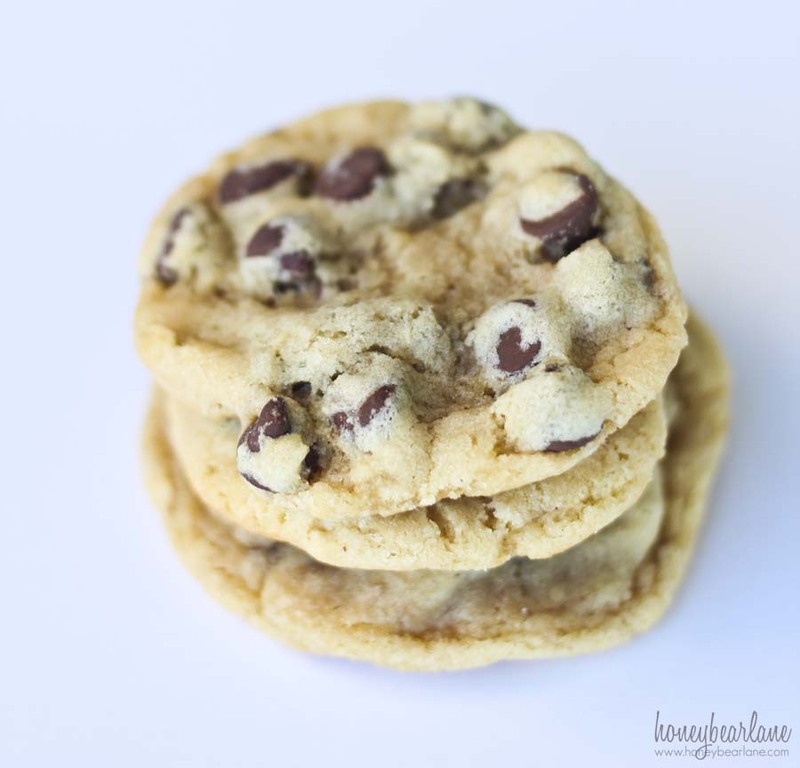 The quintessential chocolate chip cookie recipe! It’s both chewy and crispy, gooey when it’s warm and perfect when it’s cooled. Buttery and chocolatey at the same time. And of course the DOUGH is amazing on its own. It may not be the quickest recipe, but it’s really not bad. There are just one or two extra steps that make it so worthwhile. This recipe makes quite a large batch also, so you could half it, but I always make the whole thing and then bake them throughout the week. They don’t last long at all! Preheat your oven to 350 degrees. Blend the shortening, butter, and sugars together. Mix in the eggs, vanilla, and salt. Grind up the oatmeal in a blender or food processor until it's a fine flour. Mix in the baking soda and powder into it and add it to the sugar mixture. Slowly add in the flour, a cup at a time. You will probably need to hand-mix the last cup or two of flour. The consistency should be slightly sticky but not really sticking to your hands. Don't let it get too floury. If it's not sticky, you added too much flour and the cookies will not be as chewy...they will be more dry and crumbly. Form 1.5 inch balls on a baking sheet lined with parchment paper. Bake at 350 for 9-10 minutes. Take them out when they look set but not brown...a tiny bit of brown is okay. They continue cooking after they are out so if you wait until they are brown in the oven they will be crunchy. 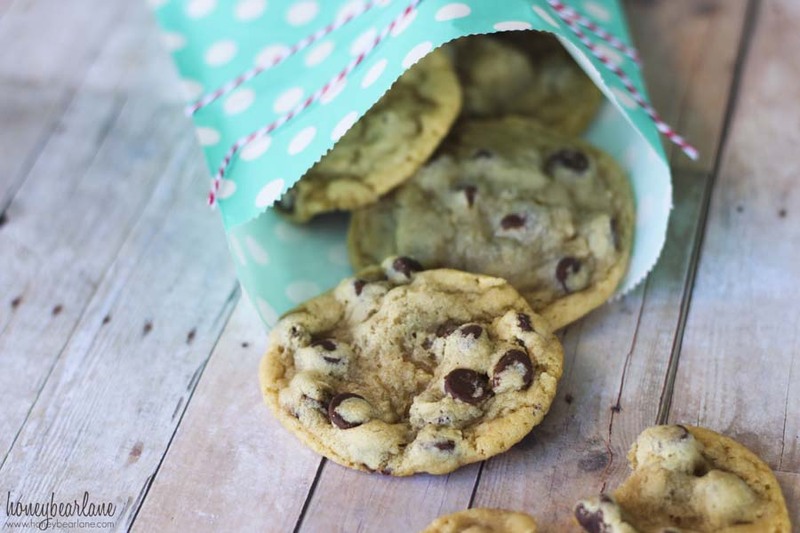 You might already have a terrific chocolate chip cookie recipe. But I want you to go ahead and give this one a try because it really is quite amazing! I don’t think there’s a better recipe out there. And every time I make them, I think of my kids’ Grandma Libbie…which will be a little piece of her after she’s gone. Linked up with Katherine’s Corner, Saving 4 Six, Tidy Mom and The Pin Junkie. Thanks Heidi, looks wonderful! Love a good cookie. Oh my goodness, this is a heavenly cookie! God bless grandma Libby. I will try the recipe and let you know how it goes. Good to know this national holiday is coming up! I’ll have to try your recipe to celebrate!